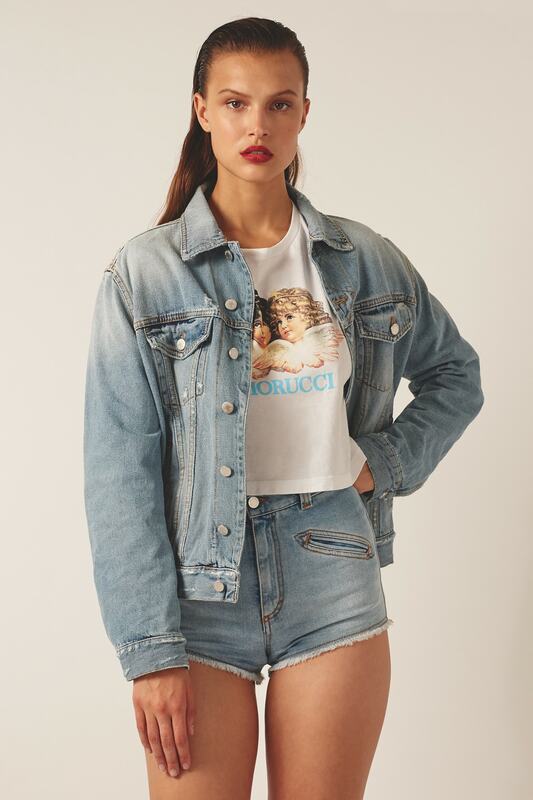 Fiorucci’s Italian-made jeans have come with various claims over the years: – “the best in the world”; “ highly recommended by everyone” – but they’ve always been designed with one goal in mind: making you look phenomenal. That’s still true today. How amazing are they exactly? All we can say is: Marc Jacobs got his first pair in his early teens, and look what happened to him. When Elio Fiorucci first opened his Fiorucci store in Milan in the late 60s, the jeans landscape was pretty much terrible. You had Levi’s, you had Lee, you had Wrangler. And that, ladies and gentlemen, was it. 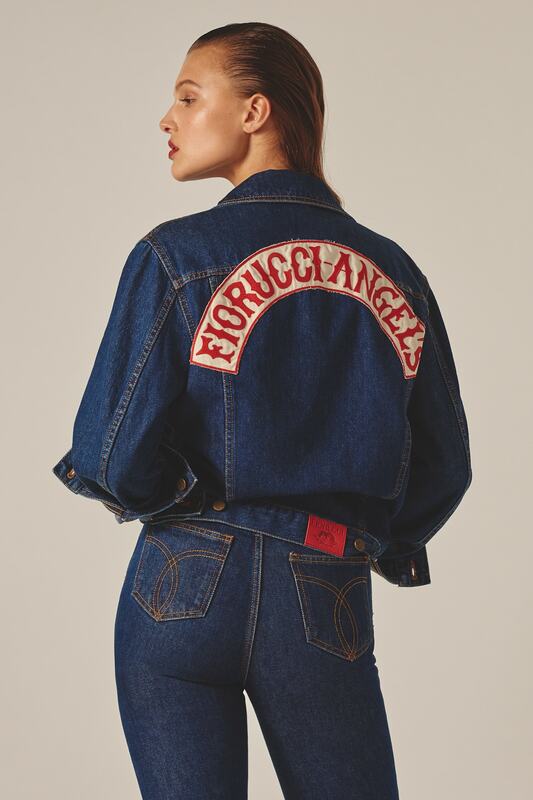 Sensing an opportunity, Fiorucci launched his own, more fun take on jeans, working with a bunch of British designers to create the original designer denim brand. Now it’s back: accept no substitutes. We take it for granted, like Netflix and Tinder. But pre-1970, there was no such thing as the skinny jean. The drainpipe silhouette was, in fact, another Fiorucci innovation. Sometime in the late 60s, Elio Fiorucci was partying in Ibiza and noticed how great it looked when women wore their jeans in the sea, and emerged with the fabric clinging to their skin. Naturally, he wanted to bring the party back home with him, so he decided to replicate the look, launching his super-skinny Buffalo 70s jean in 1970. To accompany this game-changing garment, photographer Olivier Toscani created a poster in which model Donna Jordan wore the jeans while spraying grafitti on a wall. Today, you can get it on a t-shirt. Plus the jeans, of course. What goes around comes around. No, Elio Fiorucci did not invent Lycra too. But, in 1982, when someone else did, he came up with the fun idea of incorporating the pliable fibre into his jeans, creating the incredibly flattering, wonderfully sculpting stretch-denim for which, ever since, the brand has been renowned. 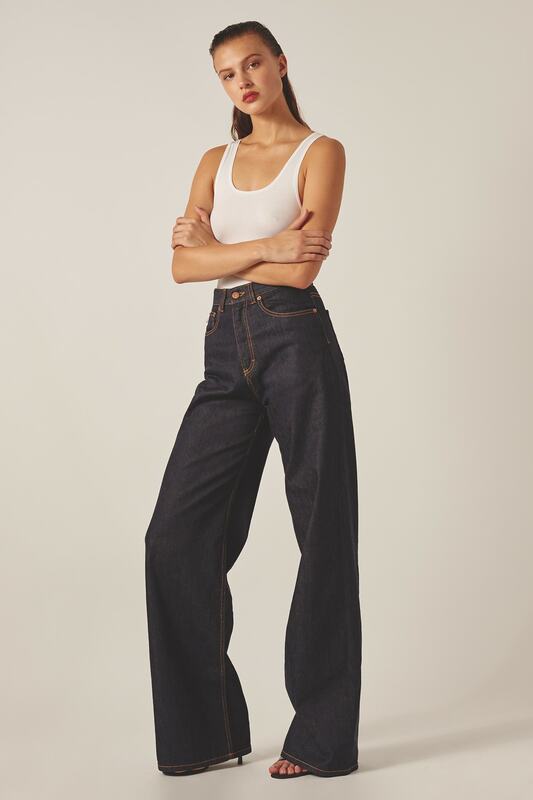 In 2017, we’re continuing our founder’s legacy by offering super stretchy jeans in a huge range of fits and cuts, from raw-hemmed denim hot-pants to high-waisted mom jeans. Be kind to your bum and treat it to what, back in the day, we called “the first antiaging system in clothing”. Fiorucci gets bored easily. Which is why we’ve always been very into customising our jeans. Sometimes this meant handing a pair over to an artist like Keith Haring, and asking him to go crazy. Sometimes this meant doing a deal with a pop cultural kingpin like Mickey Mouse. Sometimes it just meant throwing a fistful of patches at the situation. The result? Jeans that looked like true originals. Why “Safety”? Because they’re completely indestructible? Because they’re non- toxic? Because we just liked the look of the label? 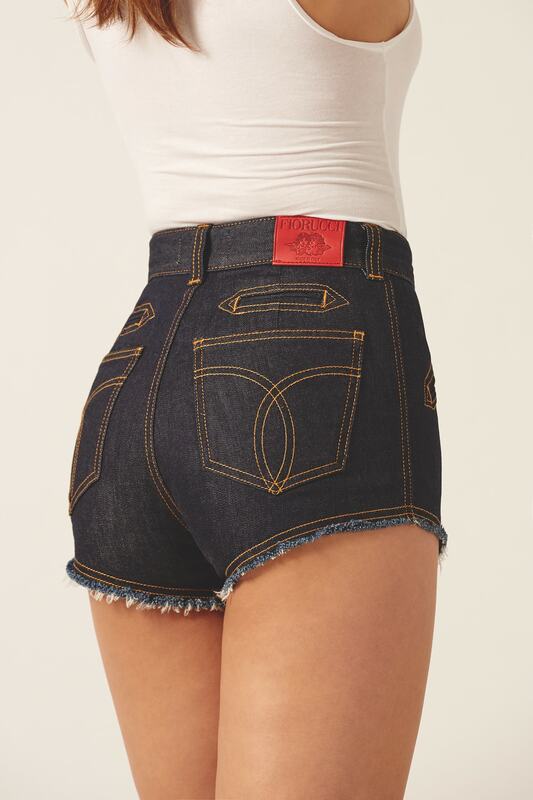 Any which way, these five- pocket jeans became iconic, and the name has stuck to this day. Be responsible, and look out for this seal of approval – after all, who knows what kind of scrapes you’ll get into next?